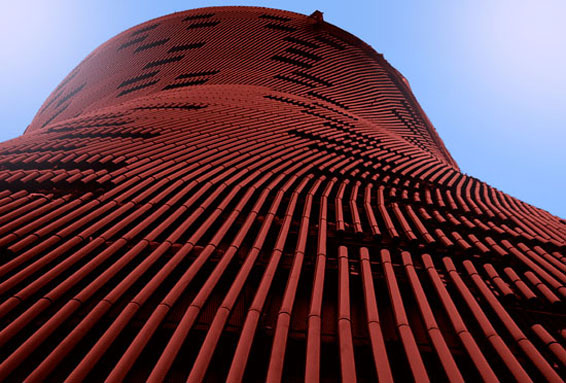 Italian architects Massimo Guidotti and Davide Albertini designed a mixed-use development for Downtown Los Angeles. 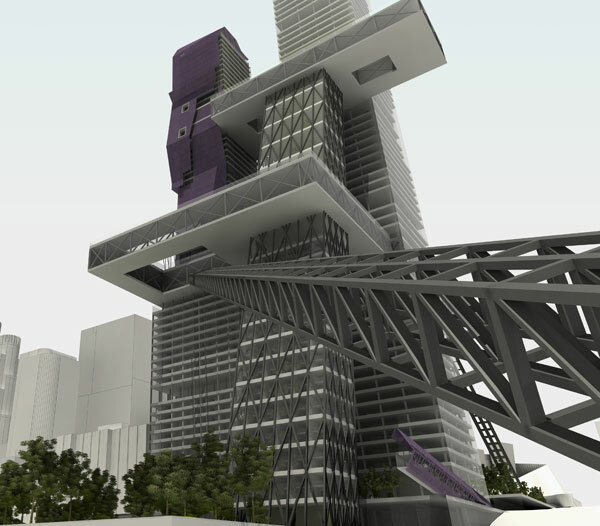 The project would be located in front of the Walt Disney Concert Hall as a set of five towers linked by sky-plazas and bridges. 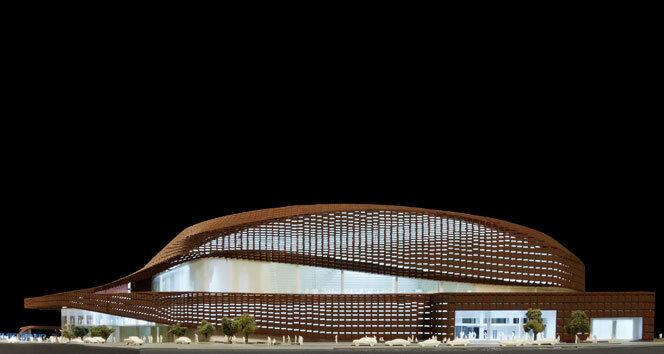 The main intention of the proposal is to create an outdoor recreational area suspended above the city. The plaza is linked to the ground by a set of enclosed escalators and the towers’ cores. The O-14 Skyscraper stands at the heart of Business Bay in Dubai. 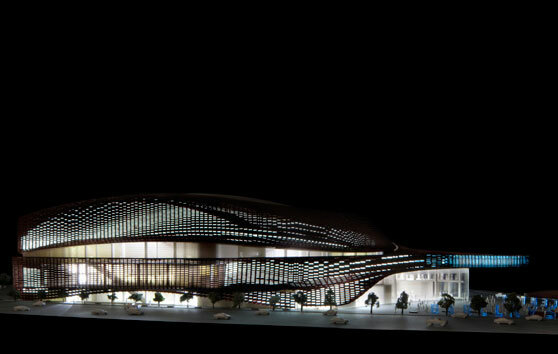 It was designed by New York architects Reiser + Umemoto as a concrete shell that not only is the structure of the building but also creates a lace-like façade open to light, air, and views. Twenty-one stories of custom-designed office floors are carried without the barriers of conventional columns and walls. At ground level, exclusive shops link this site to Business Bay’s waterfront esplanade combining high-end shopping eminent culture and popular entertainment. Below grade, four levels of parking provide capacity for over 400 cars. 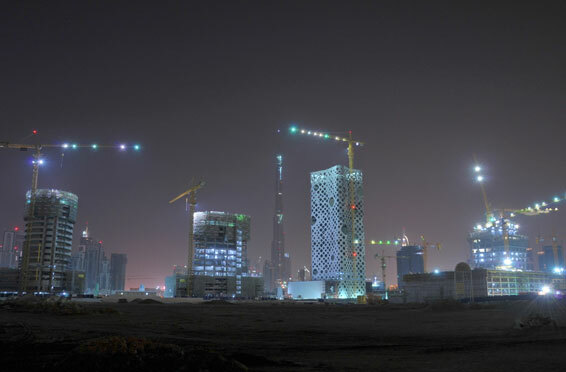 The Abu Dhabi Investment Council Headquarters Towers designed by Aedas (the world’s fifth largest architecture firm) in collaboration with Arup will reach a height of 145m (476ft) and will be completed in 2012. The design occupies two sites at the Al Qurum Beach and will act as a gateway to the city providing working areas and private amenities for 2,000 people. 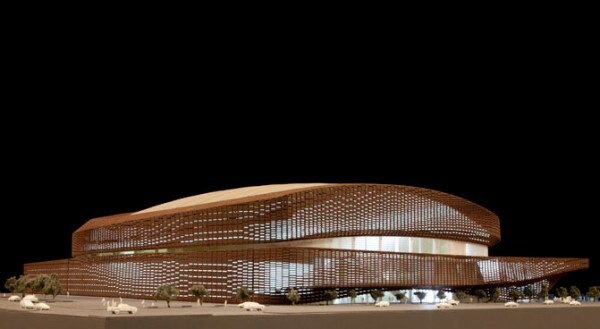 An innovative honeycomb structure was designed following the analysis of high-efficient load paths. 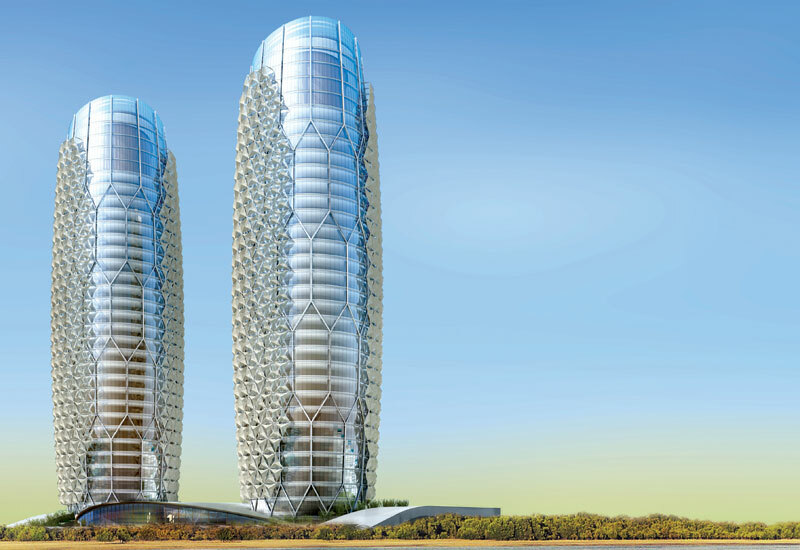 The towers will also accommodate three sky-gardens at the top to reduce solar heat gain on the most exposed elevation. 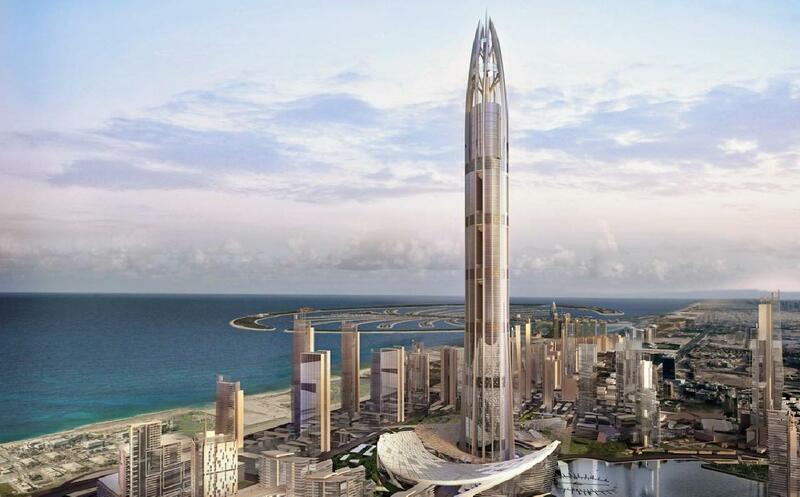 The proposed Nakheel Tower in Dubai is set to be the world’s tallest building after completion in 2020 with a total height of more than one kilometer. The mix-use development will include a harbor, a cultural podium, and residential districts in the heart of the New Dubai Development. 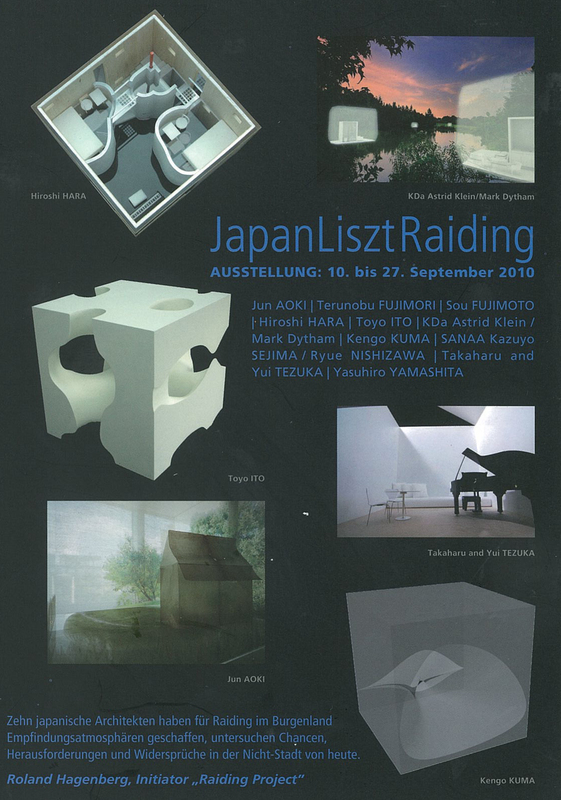 Roland Hagenberg commissioned 10 Japanese architects to design a cube as atmospheric box for Raiding, the birthplace of Franz Liszt. On a predefined surface area of 50cm x 50cm x 50cm each, Jun AOKI, Terunobu FUJIMORI, Sou FUJIMOTO, Hiroshi HARA, Toyo ITO, KDa Astrid Klein/Mark Dytham, Kengo KUMA, SANAA Kazuyo SEJIMA/Ryue NISHIZAWA, Takaharu and Yui TEZUKA, and Yasuhiro YAMASHITA experiment with associations on building in a rural setting. The exhibition at the Architekturzentrum Wien presents the 10 completed cubes, specifically for the Raiding Projects as well as documentary film shots on video by Roland Hagenberg. 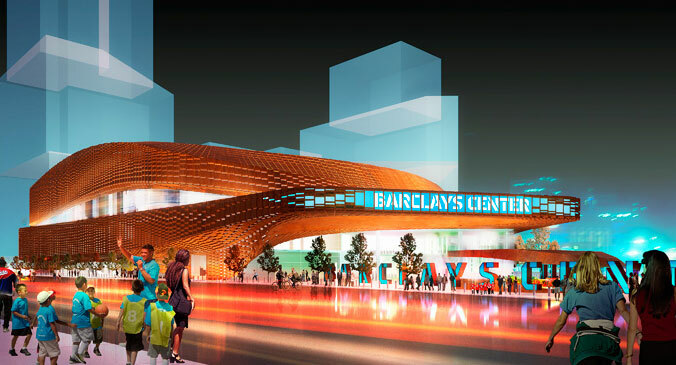 SHoP Architects unveiled their design for the new Barclays Center in New York City. 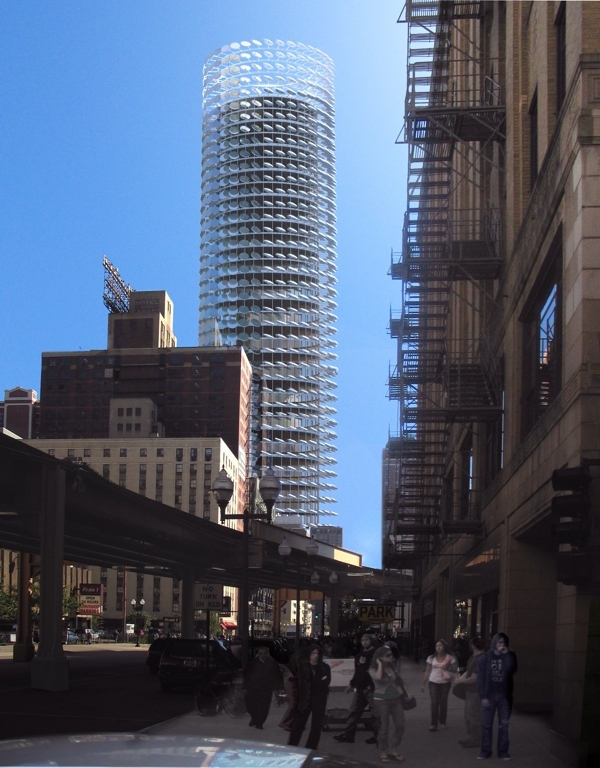 The center achieves a balance between iconic form and per formative engagement with the street. The main public concourse is predominately glazed at the sidewalk level while the civic gesture of the arena is heightened by a spectacular 30 feet high canopy. 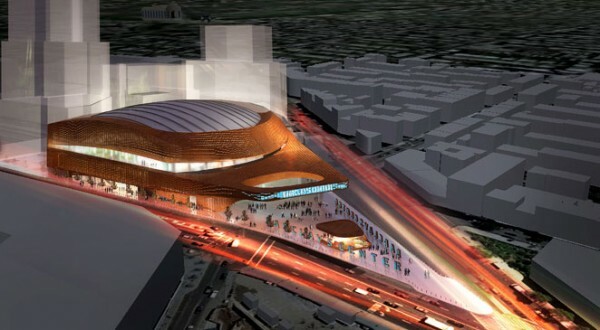 Views and physical access both into and out of the arena will be plentiful to ensure a strong connection to the surrounding urban environment. 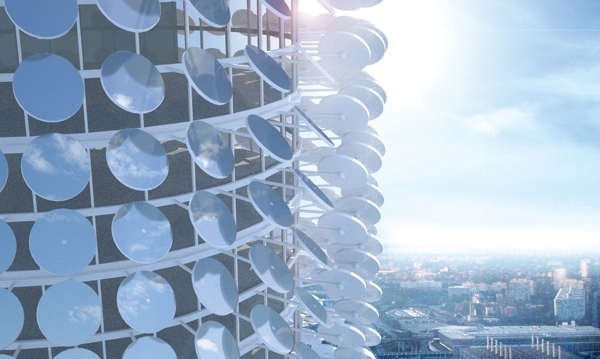 The proposed Solar Tower for Chicago by Zoka Zola Architects features an active solar array mounted to the façade which maximizes solar gain throughout the day. 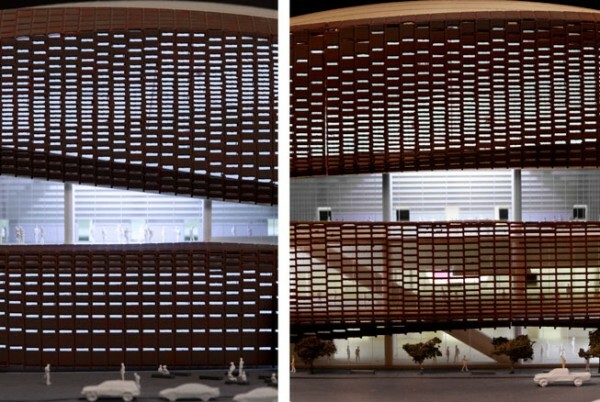 The spherically based design takes advantage of the large surface of a building by mounting the panels on the vertical plane. By incorporating tracking arms that the solar units mount to, summer electrical production can be improved by as much as 40% compared to a static mounted solar array, and even more compared to traditional vertically mounted solar facades. The array’s full potential is then realized, creating the greatest kWhrs production per square foot of any design. Wind pressure exerted on the solar panel holding mechanisms can be converted into energy. The spherical panels are mounted in such a way as to maintain views for the interior but to reduce heat gain. This results in a minimized dependency on a cooling plant. 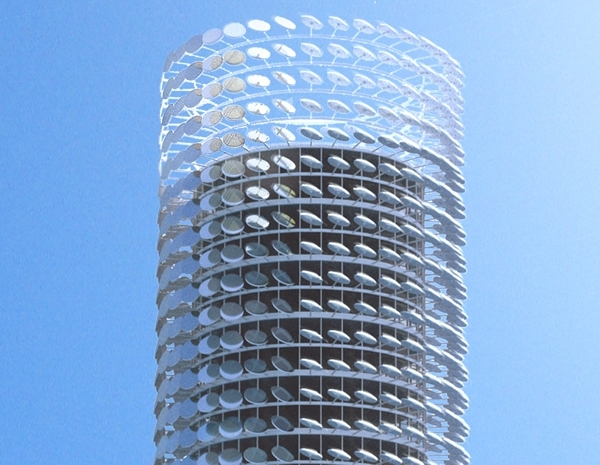 The panels are evident from the interiors of the tower to emulate the technology. 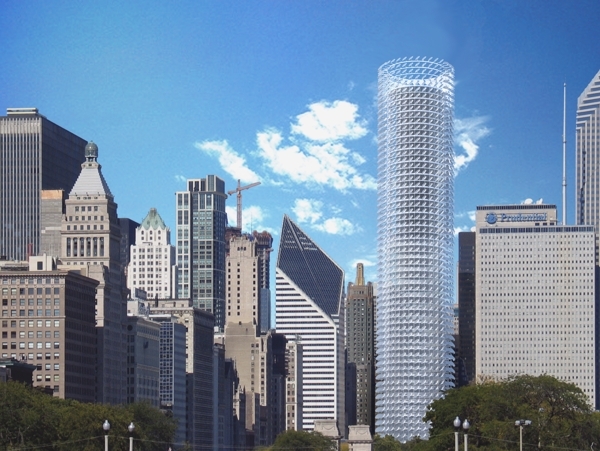 The siting of the tower will have a dramatic effect on its power production-being isolated or adjacent to a southerly body of water or park is preferable. 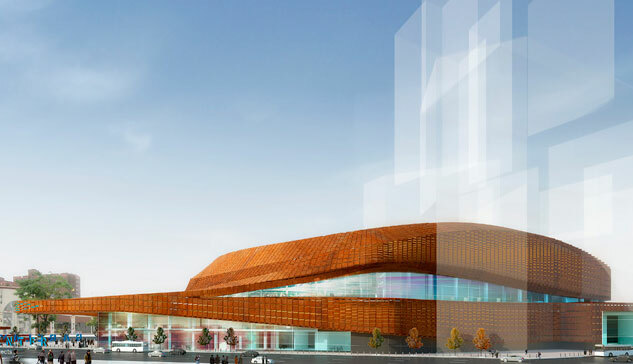 The entire building will have a kinetic profile raising onlooker’s awareness of renewable onsite energy production and sustainable urban design. 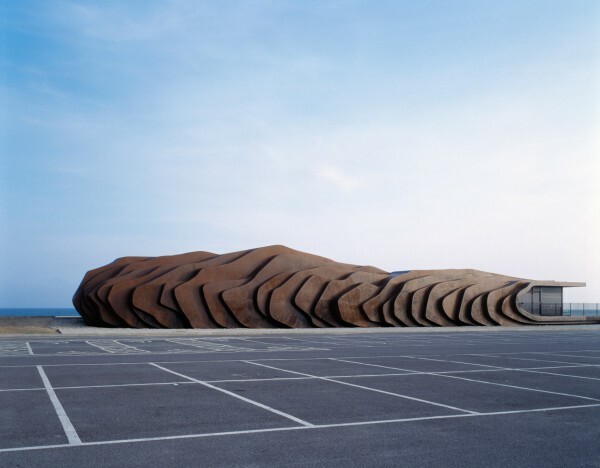 Heatherwick Studio was commissioned to design a café building to replace a seafront kiosk in Littlehampton on England’s south coast. With the post-war rise in cheap package holidays having deprived the English seaside town of investment and downgraded many of them to cheap clichés, the studio’s client saw an opportunity to change this. Mother and daughter team Jane Wood and Sophie Murray, both residents of Littlehampton, were keen to do something different that might begin to re-establish the importance of the English seaside town. Italian architectural studio Kuadra has announced the opening of one of their most recent projects, The Memorial for Jewish Deportation in Borgo San Dalmazzo in Italy. 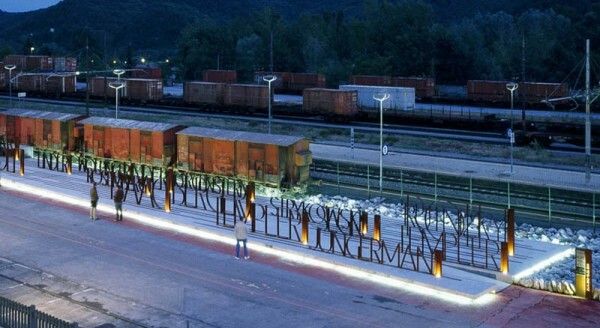 The Memorial commemorates the life of 355 Jewish who had escaped from their countries and found refuge in the Alpine valleys until captured in 1943. The prisoners were later sent to Auschwitz and Mathausen – only 20 survived.